According to a new report, Microsoft has "tentatively" outlined September 30th as the date of the Windows 9 press event. Codenamed "Threshold," precious little is known of what the software giant actually plans to include, but below, we take a look at what we’ve gathered so far. This year at the BUILD developers’ conference, Microsoft did discuss the Windows 8.1 Update, but for the most part, Windows Phone 8.1 and Cortana stole the show. The company did, however, mention that the traditional Start Menu would be making its eagerly-anticipated return at some point in the future, though, and with informed sources slipping to The Verge of the software maker’s intention to hold a Windows 9 press event before the end of next month, we’ll surely learn a great deal more about the company’s longer-term plans. Windows 8.1 and the recent updates have essentially helped to make the OS more desktop friendly after Windows 8 seemed to focus squarely on tablets, but with two years having passed since that last major update, Microsoft is now setting out its stall for Windows 9. Following the press conference, Microsoft will apparently unleash a very early Windows 9 technology preview, which will detail a number of UI changes as well as showcasing that aforementioned Start Menu. At this point, The Verge report suggests that the preview will emerge sometime in October, but with September 30th not yet set in stone, the entire schedule may be subject to change. Cortana certainly made the headlines after being shown off at BUILD, and having clearly borrowed some of its wit, character and general feature-set from Siri and Google Now, is very refined for a still-fledgling product. 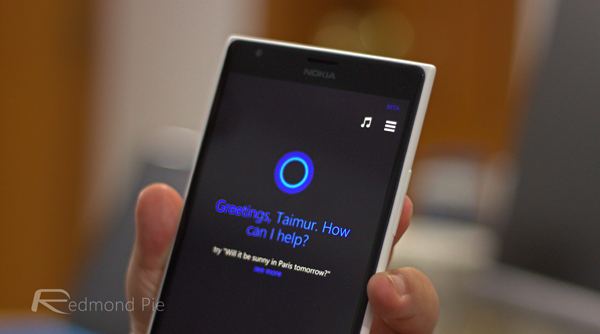 With Windows 9, Cortana will branch out beyond the confines of the smartphone platform, but while it would be nice to see Cortana reach the forthcoming preview in a usable state, it has yet to be established whether or not it’ll be ready in time. Having seemingly won over those completely bemused by the initial Windows 8 overhaul, it will be interesting to see – under the guidance of Satya Nadella – precisely what’s in store for Threshold, or Windows 9, as it is being called in the blogosphere. Whatever’s coming, we’ll have all of the details covered right here at Redmond Pie, so stay tuned!